for three decades. His trial practice also includes complex commercial litigation, complex tort defense litigation, internal investigations, and defending colleges, universities and independent schools in litigation. He began his career as a law clerk for the late Chief U.S. District Judge for the District of New Jersey, and from 1980 through 1984, he was an Assistant U.S. Attorney for the District of New Jersey. Mr. Gerber has been included on the New York Metro Area Super Lawyers® list several times and the New Jersey Super Lawyers® list. He is AV Preeminent rated by Martindale-Hubbell. 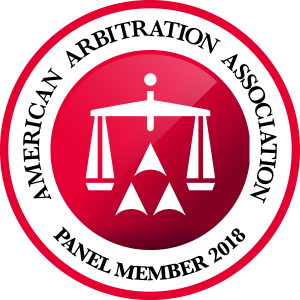 Mr. Gerber is active in the leadership of the Defense Research Institute – The Voice of the Defense Bar (“DRI”) (http://www.dri.org/), the 22,000+ member international association of attorneys devoted to the defense of civil litigation. He is a past chair of DRI’s Employment & Labor Law Committee, and currently is a member of the Committee’s Advisory Board. He also has served as a member of DRI’s Board of Directors, its Law Institute, and DRI’s 21st Century Lawyer Task Force. He is also a member of the select Federation of Defense & Corporate Counsel (FDCC), and is a past chair of the FDCC’s Employment and Workplace Law Section. Mr. Gerber is also a member of the select Association of Defense Trial Attorneys, American Bar Association (Member, Litigation Section), and the New Jersey Defense Association. 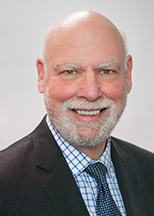 Active in community affairs, Mr. Gerber is currently a member of the Board of Directors of the United Way of Passaic County, and serves as Secretary for New Jersey Manufacturing Extension Program, Inc.